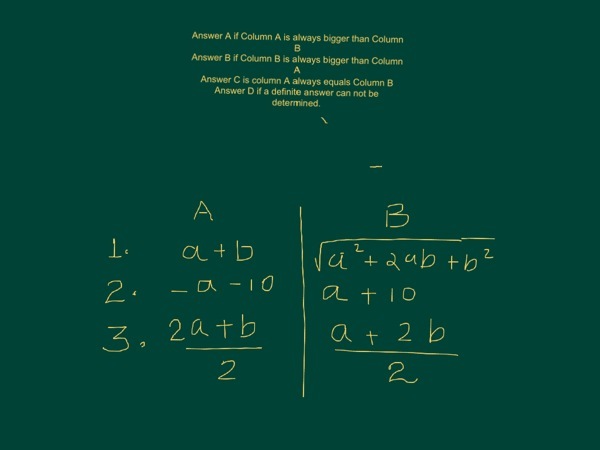 Three Medium Quantitative Comparison Problems for Blair Test Prep. Target Time. 30-45 seconds. See the image for the three questions. Please provide an answer A, B, C, or D for each of the three questions.